5 months ago this patient had 3500 grafts derived from the nape and head donor using FUE - SFET and added to his entire NW 5 thinning area. what percentage were nape vs full scalp? » what percentage were nape vs full scalp? How do nape hairs compare to regular hair follicles in the safe zone? Is there a greater chance that they will be effected by MPB than hair that is extracted from the safe zone? I like how Dr. Umar has documented this patients result… good result. » » Another excellent result!!! » » what percentage were nape vs full scalp? » Thats a good question. » How do nape hairs compare to regular hair follicles in the safe zone? » is extracted from the safe zone? » I like how Dr. Umar has documented this patients result… good result. I second all of that and adding one more, how many nape hairs can an average person spare? very nice, I wonder if nape hair was mostly used to build a soft hairline or were they mixed with regular scalp hair as fillers? made such a huge difference. Keep it up Dr. Umar. » » How do nape hairs compare to regular hair follicles in the safe zone? I’m curious about this too… great result though! In this patient about 20-25% of the grafted hair came from the nape. All the nape hair was applied to the vanguard areas of the hairlines and temples as well as the transition to the body of the hairline proper. Patient selection is pivotal in deciding whose hairline is created with either nape hair or body hair. The idea is to select hair that can best mimic the vanguard hair of naturally occurring NW 1-2. Naturally occurring NW1-2 hairlines typically show the presence of fine fuzz in the midst of terminal single hair. The terminal hair singles found in so-called safe zone can hardly produce the finer fuzz that the singles from the nape or leg area are capable of creating. Dr Umar your skills are highly respected and I look forward to seeing you for my body fue in a few yrs. 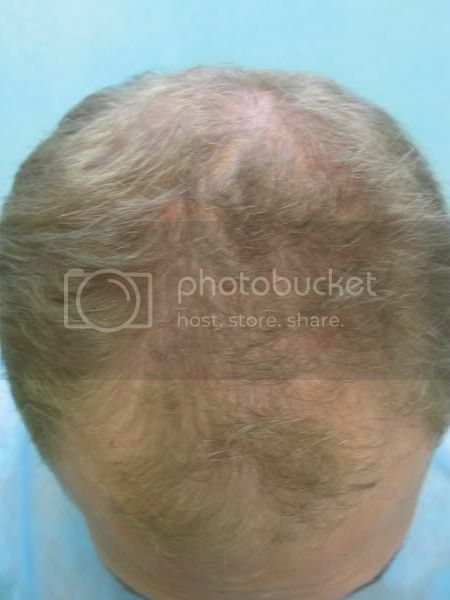 Will the transplanted nape hair(or even body hair) into the scalp of this gentleman’s (or anyone’s) scalp eventually take the course of the hair on the scalp? Will that nape hair (body hair) be able to take the original hair’s shape? Most importantly, will that nape hair be able to grow to an unlimited extent as the head hair? » for my body fue in a few yrs. » Will that nape hair (body hair) be able to take the original hair’s shape? » extent as the head hair? » donor using FUE - SFET and added to his entire NW 5 thinning area.